Currently seeking Surgical Technologists who are looking to work as Independent Contractors in full-time and per diem opportunities. Collaborates with clinical nurse in planning, providing, and evaluating the direct nursing care of surgical patients. Surgical Technologist will work at the direction of or subject to supervision of a physician and surgeon, or registered nurse circulator to facilitate safe and effective invasive surgical procedures, ensuring the operating room environment is safe, equipment functions properly, and operative procedures are conducted under conditions that maximize patient safety. Successful completion of an accredited course for surgical technologists or military equivalent. Two (2) years’ experience as a Surgical Technologist in an acute care hospital. 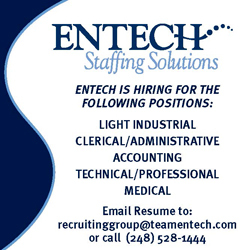 Must be able to foster and maintain working relationships with co-workers and physicians. Must be able to communicate in English and to perform potentially complex reading, writing, spelling and mathematics. Must be able to prioritize and organize independently and function well under stressful situations. Must be able to demonstrate disinfection and sterilization techniques and maintain aseptic technique. Must be able to understand and work within the legal limits of the position. Available enterprise-wide as needed for work assignments. Valid CA driver’s license and proof of automobile insurance. Job Categories: Featured. Job Types: Temporary. Job Tags: Surgical Technologist.